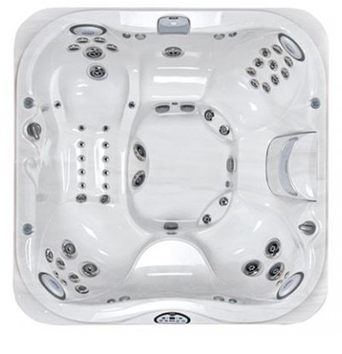 The J-365IP™ is the perfect hot tub for evening entertainment in your perfect outdoor oasis with enough space for up to seven adults to soak. 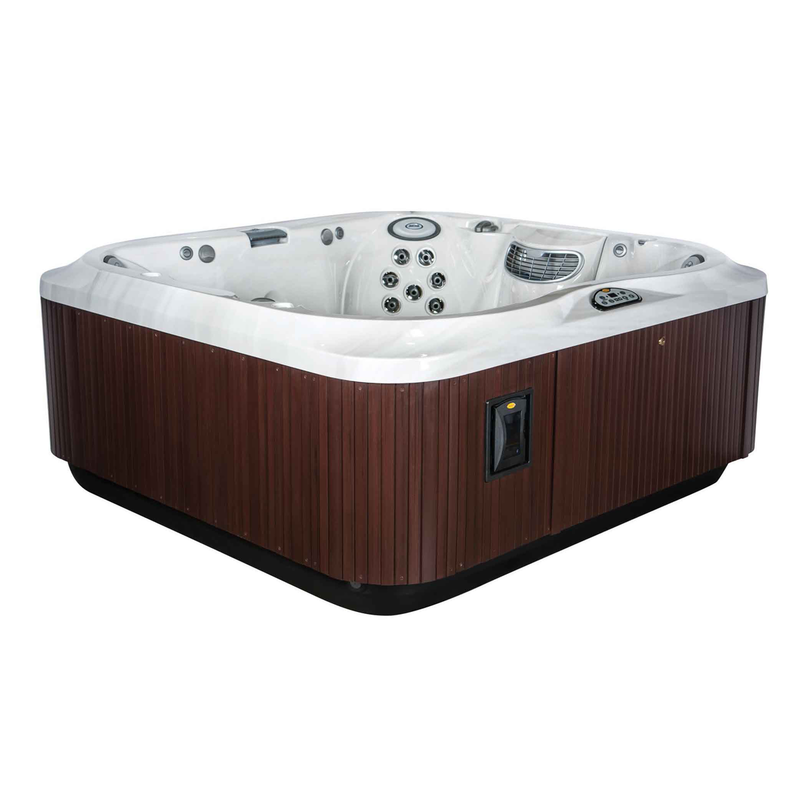 Skip the nightlife and laze the night away in the luxurious J-365IP™ Jacuzzi® portable hot tub. Experience the PowerPro® Therapy Seat, plentiful PowerPro® Jets, including FX Jets, and jetted foot dome guaranteed to relax and rejuvenate as it spoils your muscles from the top of your neck to the bottom of your feet. This is your new alternative to evening entertainment. 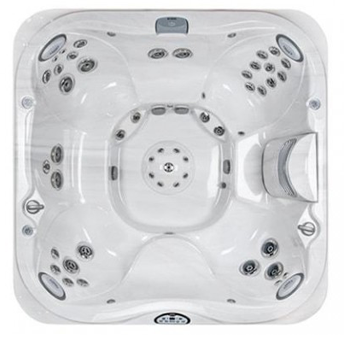 The J-365IP™ is equipped with features such as Jacuzzi®’s ProLite LED lighting system, sensual and soothing Water Rainbow® waterfall feature, cup holders, and headrest pillows round out this spacious hot tub. 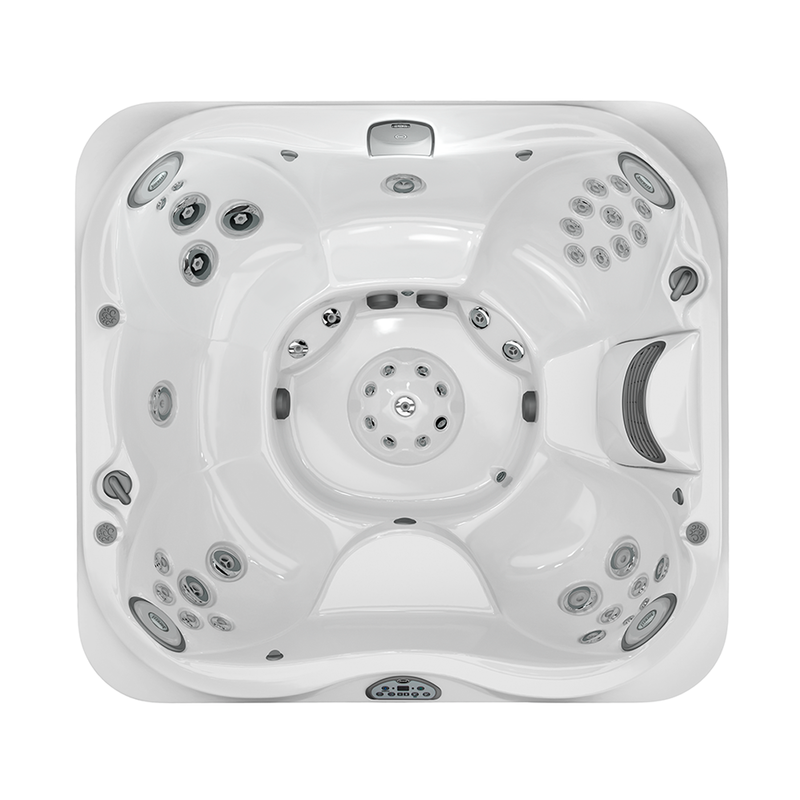 It has centrally located footmound equipped with PowerPro® jets share the experience. Its stylish design will transform the garden into your own all-inclusive resort. Invite your friends to join you for a night in instead of a night out! 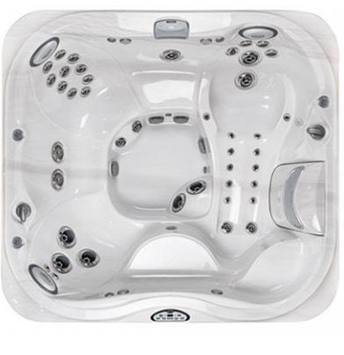 This model comes in a variety of textures and finishes in both the ProEndure UV resistant cabinetry material and the Jacuzzi® TriFusion System acrylic shell.